Facebook recently announced that all advertisers can now direct users from the News Feed straight to Messenger. From here, businesses can then use their chatbots to keep the conversation going and achieve objectives such as increasing sign ups or sales. 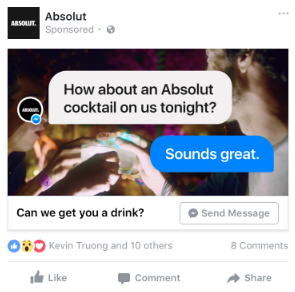 To keep users engaged, Facebook has also taken this new feature a step further and announced that advertisers can now send sponsored messages in existing conversations. These sponsored messages can be customised to the user and the idea is that these will continue to keep people engaged. These new features offer a great opportunity for advertisers to interact with users in new ways and achieving business objectives in non-traditional ways. Very cool. 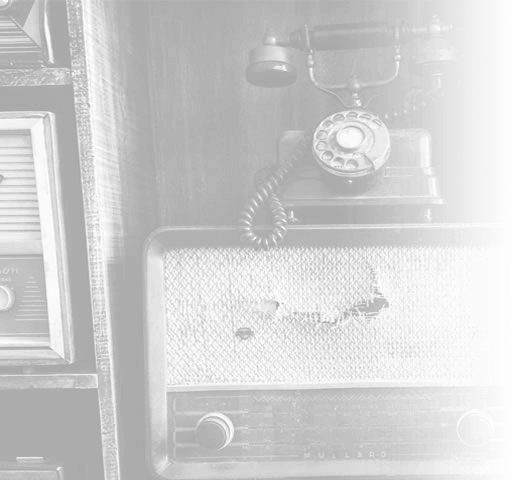 There are plenty of exciting things happening with ad extensions, so here’s a quick update. 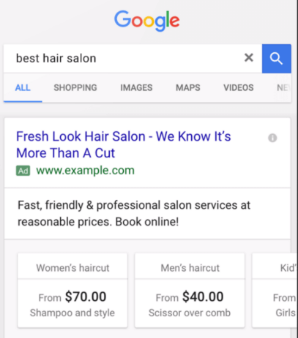 Google announced that the format for price extensions has been changed to a swipeable card. Price extensions are a great way to promote your offerings and it gives users an idea of price without even having to visit your website. Plus, with the new swipe format, users can easily see multiple products/services. Swipeable cards seem to be a real theme at the moment. Several users have spotted image extensions appearing below and in – yep, you guessed it – a swipeable card format. 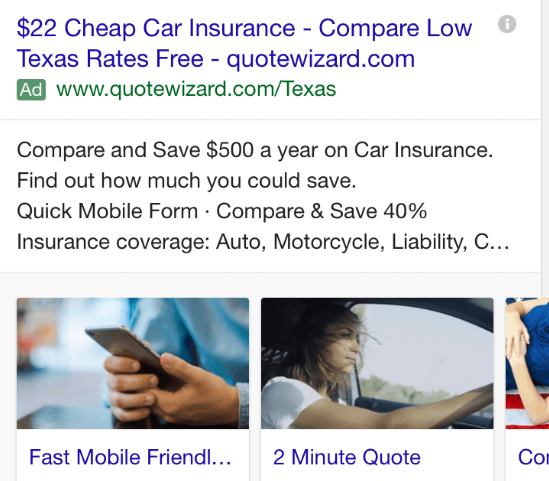 This is something to keep an eye on because these will really enhance your text ads and differentiate you from the competition. Source: Google Machine Learning Sentence Compression Algorithms Powers Features Snippets. It is fairly common for Google to update Search Console (formerly Webmaster Tools) however, when Google removes features, the webmaster community tends to react with some discontent, largely tied to the useful nature of the functionality and features being removed. A recent feature removal was the retirement of the Content Keywords feature. And so, the time has come to retire the Content Keywords feature in Search Console. If you are wondering about the use of this feature (albeit too late to use it now) we covered its value for creating effective website content back in April 2015. We’ll be sure to bring you more news and round-ups through 2017 but in the meantime, we wish you a very merry Christmas and a happy New Year! 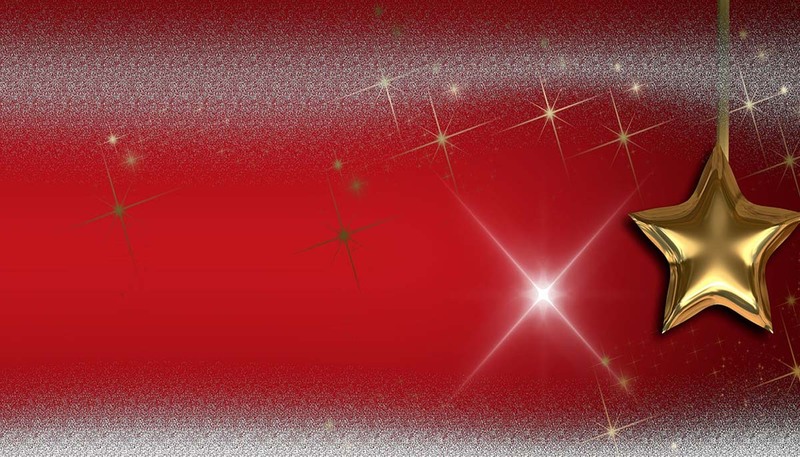 We’re closed on Monday 26th Dec, Tuesday 27th Dec and Mon 2nd January but other than that, you can call us any time over the Christmas period on 023 9283 0281.